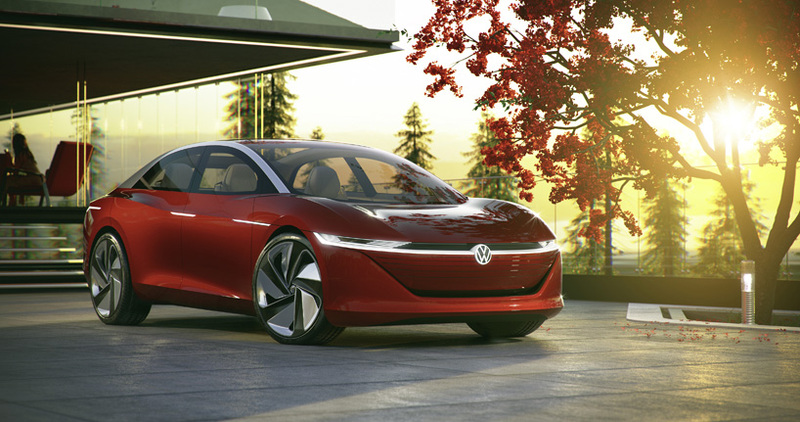 starting in 2020 volkswagen will be launching newly developed electric vehicles with long driving ranges and futuristic designs: the I.D. family. 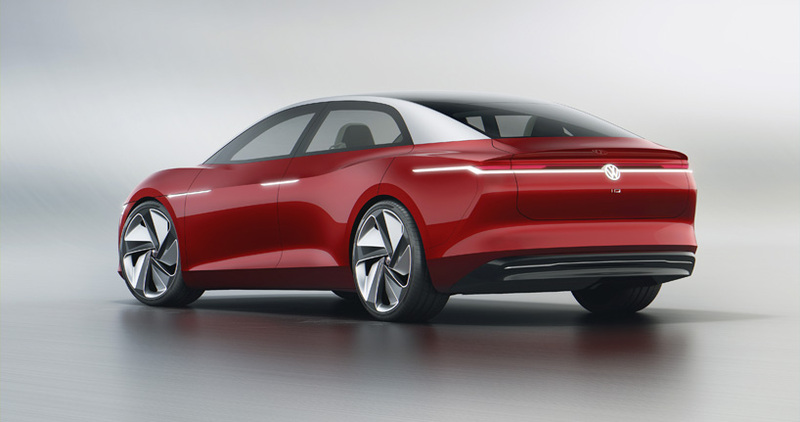 three models have already been presented as concept cars: the ‘I.D’, the ‘I.D. crozz‘ and the ‘I.D. buzz‘. 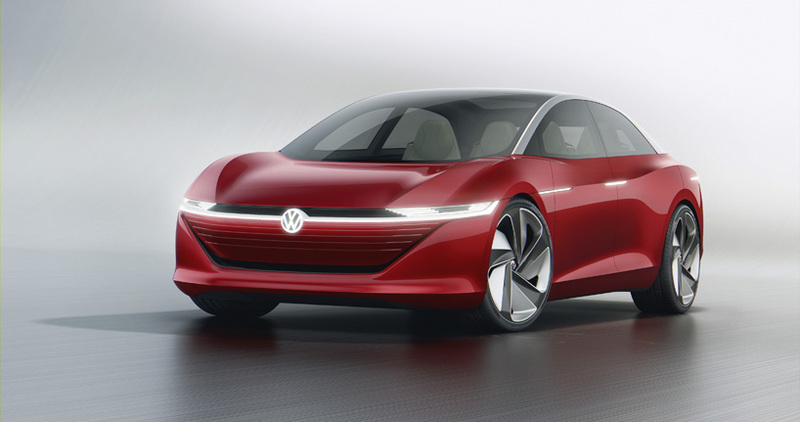 at the geneva international motor show , volkswagen is presenting the new automotive highlight of the line-up: the ‘I.D. VIZZION’ – a next-generation, premium class saloon. it drives autonomously and is operated by voice and gesture control. with artificial intelligence, it is capable of learning. 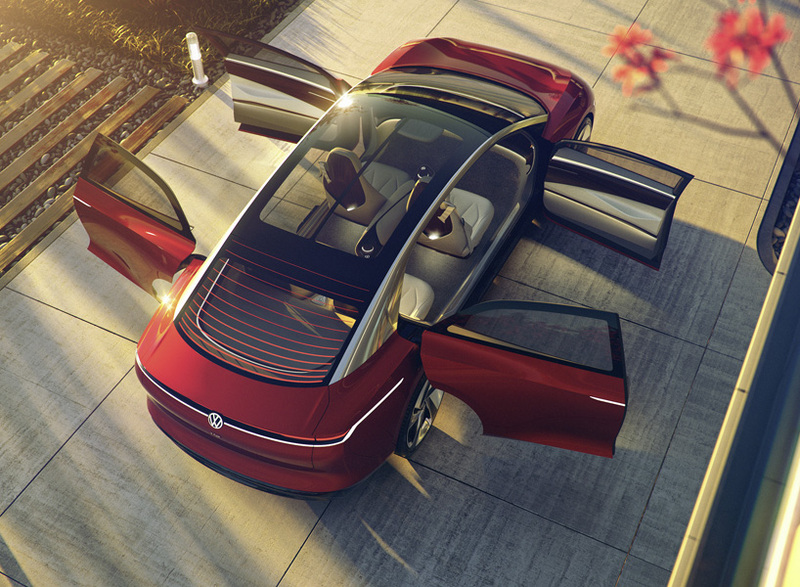 travel and space reinterpreted, volkswagen ‘I.D. 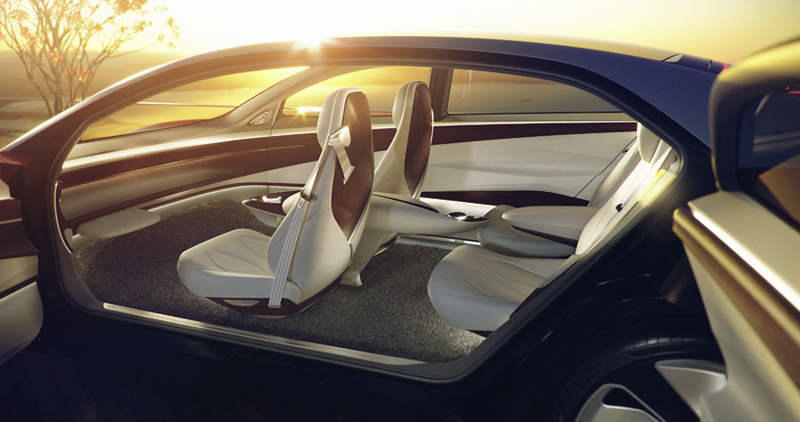 vizzion’ transfers the design of electric mobility to the world of large saloons. the models achieve their status through an intelligent interpretation of travel and space. the mobile interior – the ‘open space’ – is thought out anew here, so that the time spent on short and long trips in daily living can be utilized more productively and flexibly. interaction with the electric car is performed virtually via augmented reality. here, a vision of the year 2030 is being provided with respect to truly comprehensive connectivity. the car’s communications technology has advanced to become a host, a virtual assistant which is capable of learning and responds empathically. the ‘I.D. vizzion’ delivers one thing above all: more personal freedom. that is because it is a smart device on wheels that does not require a driver and thereby becomes a chauffeur. because it is so comprehensively connected that it is part of the digital world. because it gives all on-board guests the freedom to relax, communicate, work and set the next destination for the car while on the road. thanks to the intuitive interaction between human and machine via augmented reality and newly designed mixed reality eyewear – the ‘hololens’ developed by microsoft – as well as natural language control, the ‘I.D. vizzion’ is designed to be fully intuitive and therefore easy for users to operate. the largest of any of the models presented to date will become a mobile living space that can be comprehensively personalized through the interactive lounge or ‘open space’. 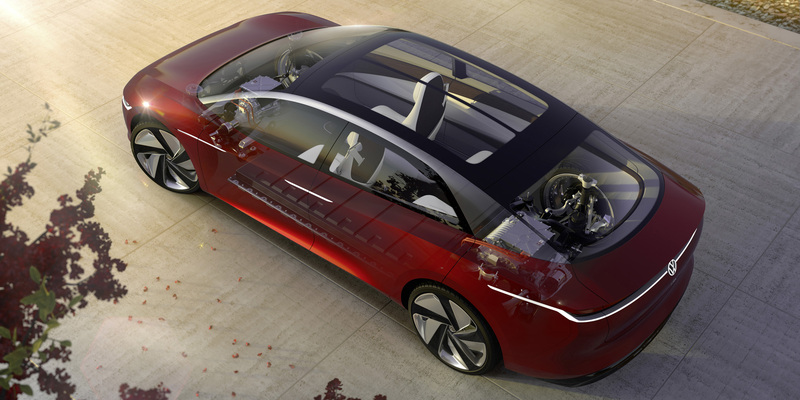 in presenting the concept, the german-automaker is showing the potential embodied by the electric architecture of the I.D. family. based on this technical matrix, volkswagen will be able to cover the entire spectrum of electric mobility. 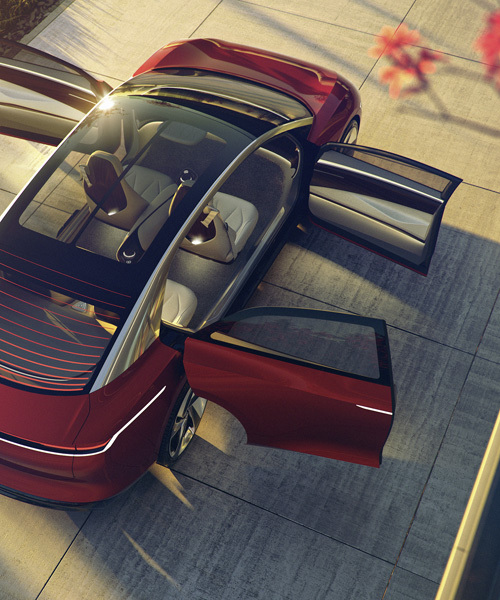 the concept car being presented in geneva is also further proof that volkswagen is not leaving any scenario unexamined on the road to the future. 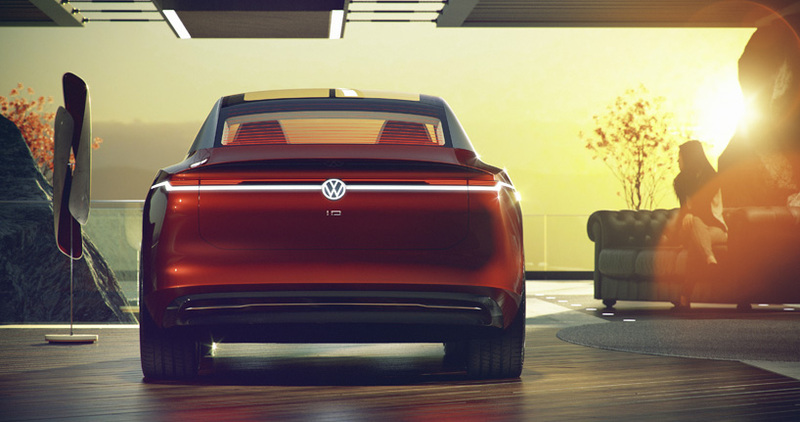 in its fluid, monolithic design and progressive electric architecture it reflects how volkswagen envisions an electrically powered premium class saloon. while, as mentioned, user operation via augmented reality gives an outlook on the year 2030, fully automated driving on level five is conceivable starting in 2025.
the electric all-wheel drive system with two electric motors deliver a system power of 225 kW, while a high-voltage battery with 111 kWh of energy capacity offer driving range of up to 665 km. the i.d. 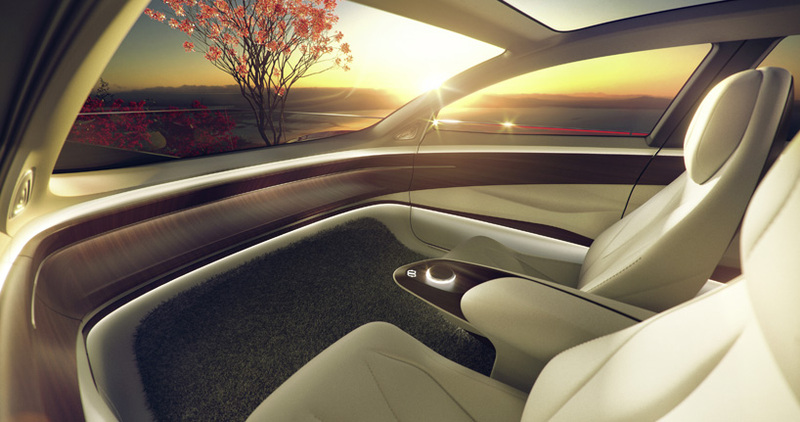 vizzion concept car is one of the first cars to have the future potential of ‘artificial intelligence’ incorporated into its concept. over time, these systems continue to learn more, which also enables them to react to new situations. today’s software engineers write programmes and thereby implement characteristics in automobiles that are highly innovative but not yet capable of learning, soon programmes will be used that utilize ‘machine learning’. 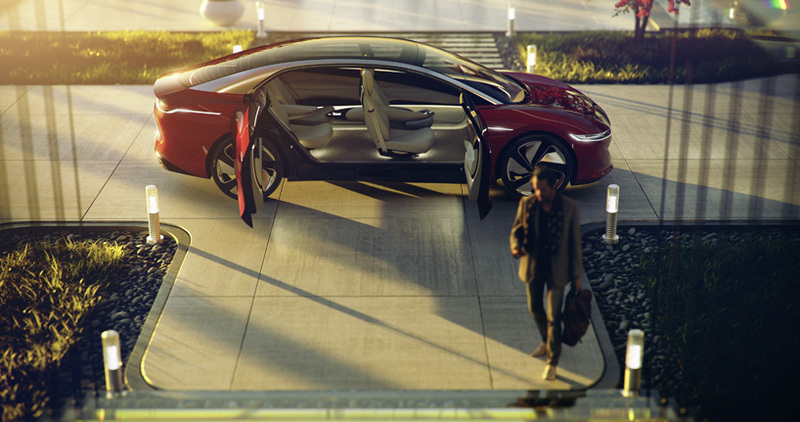 it is a car that combines mobility on the highest level with intelligent services – a kind of intelligent chauffeur. that is what the ‘I.D. VIZZION’ does. 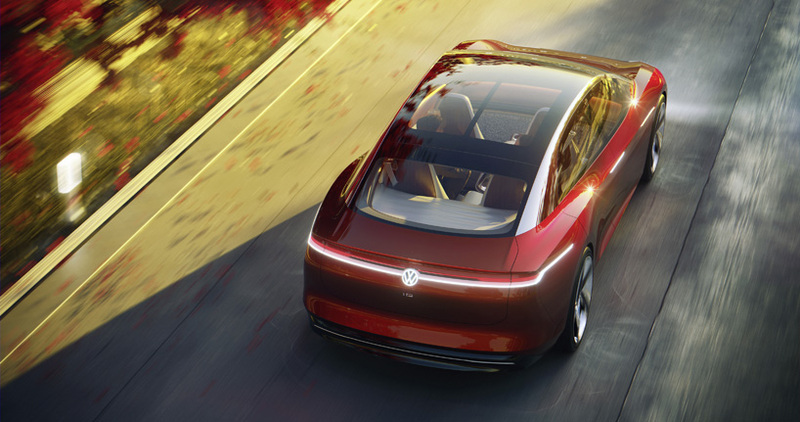 volkswagen is promoting ai development for automobiles in a big way. the path to this goal can be partitioned into three phases: ‘conventional programming’ (today), ‘machine learning’ (immediate future) and ‘artificial intelligence’ (future). A New Beetle put on ‘The Rack’. Interesting.